Success in today’s healthcare world involves an array of physicians, non-surgical providers, administrators, and ever-changing technologies. 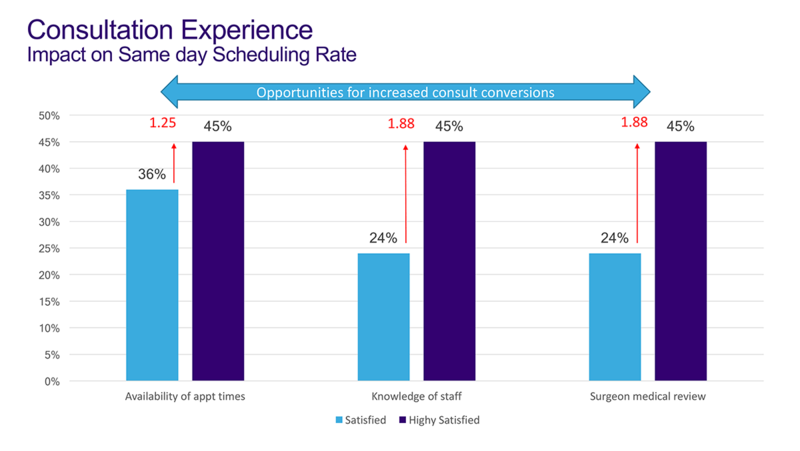 This complexity makes it harder to deliver highly-satisfying patient experiences that build strong brands, drive satisfaction and increase profitability. Do you ever wonder what’s going on behind the closed doors in your facilities, offices, or other patient-facing aspects of your organization? Are those patient encounters enhancing or diminishing your reputation and revenue? It’s an important question, whether your organization is on a self-pay structure or eligible for the Merit-based Incentive Payment System (MIPS) reimbursement. Whatever your role in the healthcare system, the opinions of your patients count. For the last twenty-nine years, our founder at Vizium360, Marie Oleson, has been using patient feedback to guide changes at La Jolla Cosmetic Surgery Centre, one of the nation’s first private group cosmetic surgery practices. Patient feedback, as expressed in ratings and reviews, can enhance marketing and the bottom line. Great patient experience occurs over a series of encounters. Every touchpoint represents opportunity and risk. Here are several examples of significant improvements in business outcomes that can be achieved by improving patient satisfaction. These examples show the correlation between satisfaction scores and business objectives. Lower scores impact the bottom line negatively while higher scores increase revenue and profitability. Patients who are Highly Satisfied are more loyal and have greater lifetime value than those who report themselves as Satisfied with their patient experience. By understanding the nuances of patient satisfaction throughout the patient journey, you can increase profitability and competitive advantage. This data from Vizium360’s proprietary survey process is for a single provider and could vary by provider, procedure, or office. 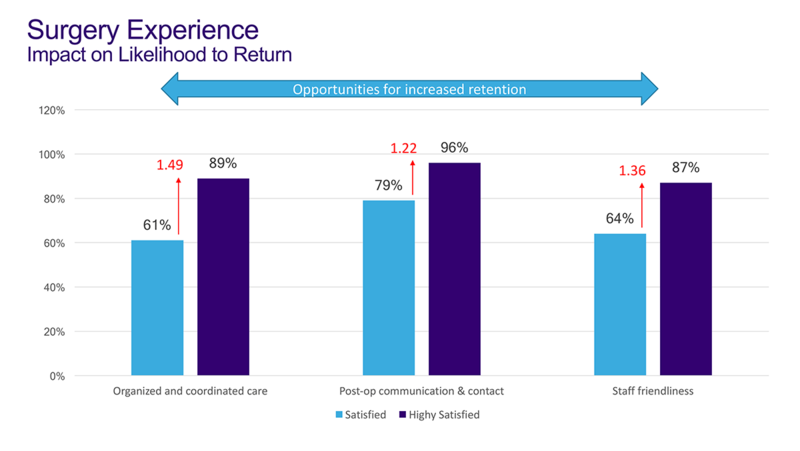 It shows the opportunities associated with increasing patient satisfaction for the various touchpoints being measured. To learn more about how you can improve your patient satisfaction feedback—and use it more effectively to improve your organization—contact us. We’re here to help you succeed. Are Unhappy Patients a Blessing or a Curse?